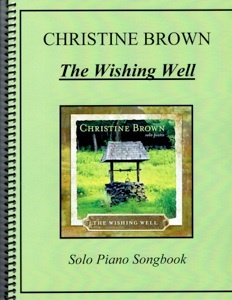 The Wishing Well is the companion sheet music collection for Christine Brown’s solo piano album by the same name. All twelve original pieces from the recording are included in the spiral-bound book. Clear and easy to read, this book is a delight to play from cover to cover. A variety of moods are expressed in the music, and while most are on the slower side, a few are lighter and more upbeat. 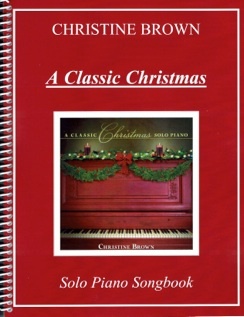 None of the pieces are difficult, and most are in relatively easy keys, making this collection very suitable for pianists at an upper-intermediate level and above. More advanced pianists will enjoy the expressive nature of the music. Dynamics are marked and suggested pedalings are indicated. Some of the pieces have metronome settings, but some are indicated to be played “rubato,” so those do not. 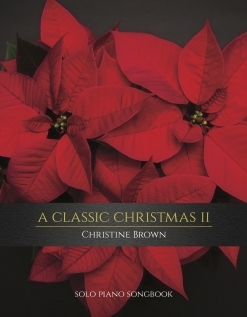 I really enjoyed playing through this book and know that many other pianists will, too. 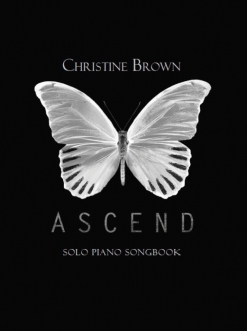 It is available from www.christinebrownpiano.com in printed book form or for downloading as an eBook or single songs. The song titles, the keys they are in, and the number of pages are listed below. I recommend this book very highly!